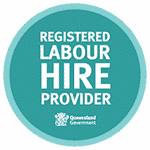 Brisbane Headquartered Resource Company - Zelda Recruitment & Job Agency | Brisbane | The best jobs in Queensland. With major investments in copper and gold mines, our Brisbane city fringe client has a sizeable head office and will continue to ramp up as more investments come online. Over the years we have placed in excess of 150 roles and our team’s ability to pinpoint the right talent has assisted the client to grow an exceptional team.